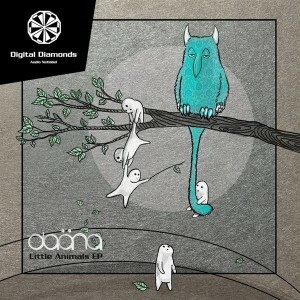 Daäna serves up three well-designed tracks full of light and colour on Little Animals, the latest release from Digital Diamonds. All three original tracks tell intense stories pulsating with life and vitality while Digital Committee delivers a remix in a more stripped down style. Mastering by Sonic HQs Freiburg, Germany, with cover artwork by Milad Aramnia. MP3 Download | FLAC Download | WAV Download · Download count: 9,064. The Remix of Little Animals is good, nice and ready for the dancefloor, but the original mix is far better, more artistic-minded, the slow progression really pays off. A very solid release! Very Nice !!! Good work guys !! Digital Diamonds does it again ! Little Animals (Live Edit) IS an instant classic !! Wonderful cover art as well , good job for keeping the highest quality possible, thank you ! So nice… killer groove and beautyful story. Really nice stuff man! Need some more! Yep. This is pretty much perfect. Top shelf quality. Well done, Daäna! And way to go, Digital Diamonds. Always living up to their name! Absolutely loved it. Great production and ideas!